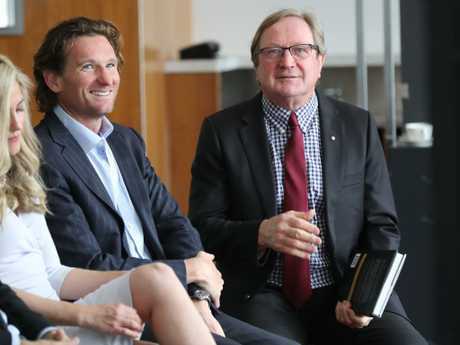 AFL great Kevin Sheedy has backed his former Essendon captain James Hird to make a coaching comeback, and other personalities in the footy world have also weighed in. Sheedy's comments will reopen the wounds of the Essendon supplements debacle, which ultimately cost Hird his job as senior coach at the club. "I'm not blaming anyone, but there is no way known he would have wished for what happened," Sheedy told the Herald Sun. "And he has said sorry. How many times do you have to say sorry? "I know people will jump at shadows because of what happened, and that's unfortunate, but he is one of the most intelligent football thinkers I've met. "I think he is prime, ready to coach at an AFL club (again)." "I hate to say it again, but there has never been a positive drugs test," he said. Collingwood president Eddie McGuire weighed in on his Triple M breakfast radio show, saying Hird should be welcomed back. "Enough. If he had penalties to face, then he has faced them more than enough," he said on The Hot Breakfast. "Let's get on with it. He's one of our blokes, James Hird. "So if the rehabilitation is there to be had, and if he's interested in doing it, then I think the door should be open. "I don't think there'd be any issue whatsoever." McGuire's co-host, former Western Bulldogs star Luke Darcy, agreed with that stance. "I think you look back at one of the greatest players to ever play the game, and for all intents and purposes was starting to carve out an outstanding career as a coach," Darcy said. "Everyone that I've heard play under Hirdy has got nothing but full praise for him. "Everyone has a mistake, everyone has things that don't work out for them, but to welcome James Hird back to me is a no-brainer if he wants to." 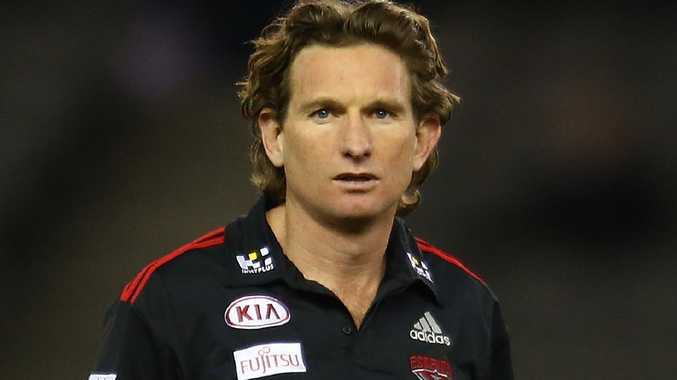 However, chief football writer for the Adelaide Advertiser Michelangelo Rucci believes Hird must accept responsibility for what happened under his watch before there can be any talk of a comeback. "I'm all for people getting a second chance but I feel James Hird needs to accept his responsibility first for what went on at Essendon," Rucci said on SEN SA. Kevin Sheedy has come out to bat for Hird. 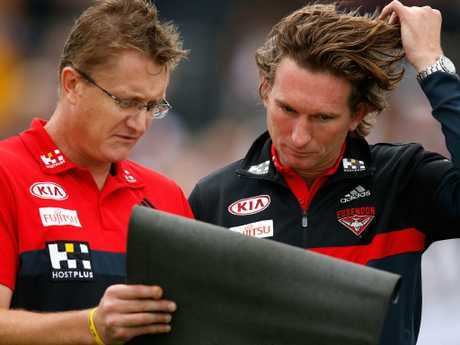 Hird returned as Essendon coach, but resigned during the 2015 season. Eventually, 34 current and past Essendon players served WADA-imposed doping bans, which gutted the club in 2016. Hird, who won the 2000 Norm Smith Medal, presented the award at the 2017 grand final. He was linked to a potential opposition analysis role last March at Fremantle, but it did not happen. Sheedy said if Hird returned to an AFL club he would be ready. "I've got no doubt if he had his head wrapped around a good club, and a good club which needed help, I would back him in," he said. "He is not a person who will lose twice. "Yes he got his fingers burnt by not doing an (assistant coaching) apprenticeship, but he has ended up doing the toughest apprenticeship I've ever known of any former champion. "I think if a (Stephen) Dank walked into the club now, he would know what to do."